March 18, 2019: I really enjoyed talking to Alex Ferrari for his Bulletproof Screenplay podcast, hosted on the Indy Film Hussle website. He was very curious about the Story-Type Method (of course!) but we also discussed super-hero movies, the difference between plot-led, character-led and theme-led stories and more. Alex is a true movie fan and a great host, both knowledgeable and passionate. Many thanks to him for his kind invitation and for a memorable hour chatting about movies and story structure. I hope you'll enjoy it as much as I did. 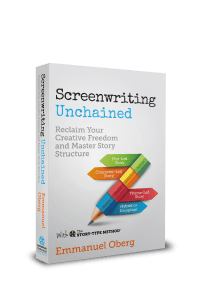 For those of you coming across the Story-Type Method for the first time with this episode and wanting to find out more, a free sampler of Screenwriting Unchained (first fifty pages) is available to download and can be read before or after listening to the podcast. Even during it if you're really good at multitasking!